I've not always been good with money, in fact I could still do much more better when it comes to my finances. When I moved out of my family home at 18 to go and live with Stuart it was certainly a learning curve. Taking the time to manage your finances better can really pay off. It can help you save money on your bills as well as save a good amount of money each year. I wanted to share with you the many things I have learnt and also the things I do to make sure we are saving those precious £s. One of the first things you should do before moving out or even to a new property is to sort out a budget so that you know what you can and can't afford. This way you have an idea of money coming in and out. You can purchase a range of budget planners but you can also find some free ones online. Household bills take up a huge chunk of your money and so one of the best things you can do is shop around. There are so many ways you can cut down on your bills and I even written a post about ways to lower your energy bills in winter and many other posts on money and finances. If you have a goal in place it helps you to be motivated in sticking your budget and saving money. One of things that is important is to have an emergency fund which I admit we don't have and is something we need to rectify. Once you have an emergency fund you can then think of goals such as saving for a mortgage, going on holiday or a car so that you don't have to take out a loan are some examples. It is easy to get overwhelmed with debts but sometimes you may need to take out a loan and Swift Money® are there to help you with online applications. When it comes to debts its always best to put them into priority order such as ones that have an high interest rates and then pay off them first. Meal planning really helps as its stops you from wasting money and food and you know what you will be having every day I use a magnetic planner to help this and it includes a handy memo and shopping list section. This is important I've been caught out before when tablet broke down and I didn't have insurance/extended warranty so ended up having a to buy a new. I learnt my lesson and now I have insurance on both my tablet and on my mobile as well as other items that are valuable. You can do this weekly or however you see fit and its a good idea to look into what you can afford to save no matter how little. Some banks offer cash intensives to change to them which is dependent on what you can put in each month. When it also comes to banks its worth looking into whether you feel you will need an overdraft facility. My current bank offers cashback in certain stores but as of last year I've started when shopping online using Quidco. This is such a good idea and handy if you shop online a lot more than you do in store. One of the things I started doing to the end of last year was to start using coupons. You can get ones to print off to use in store or promo codes that you can use online. This way when buying something you can get a discount or even a freebie. Just make sure you use promo codes and coupons if you are actually need or will use the item. 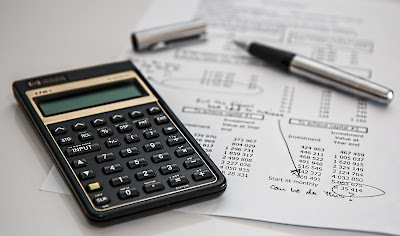 There are so many more ideas on ways to dealing with your finances and saving money and you can find many books or articles online to give you a helping hand. This is a great list Joanna! I just recently started couponing and it's made a world of difference! One thing I'm good at is money management, I also make sure I get things I need not want. Things are so costly these days it's all about rainy day savings too. These are all very important measures to take in making sure that you are dealing with your money in a responsible manner. Making sure you have a budget and stick to it and reducing your expenses as much as you can will lead to a healthy bottom line. I definitely need to start budgeting because I have very little money to start with! My husband and I decided to buy a house a few years back and knew we had to budget and save to achieve our goal! Your post is super helpful and definitely agree with you, we budgeted like crazy and counted every penny! I've got much better with my finances recently. They were in such a mess before. Great post! I always look for ways to manage my money better, as I'm very frugal as it is, but I know there are ways to save better! lots of great tips here! I am a big fan of couponing and will always look for a voucher before buying online! Some very good advice here, I like to collect coupons and buy second hand to save money. I'm so bad with saving, this post is so helpful! Great points raised in this post. Quick and easy to read. Might start signing up with Quidco. Love how your blog is easy to navigate.